Portakabin has come to the assistance of East Midlands Ambulance Service after the emergency service urgently needed facilities to train new recruits. As part of a pledge to improve quality of care and ambulance response times, the service received a 12% funding boost to enable it to take on 300 new recruits, most of whom will be on the frontline. However, the sudden increase in new staff meant that the EMAS team required immediate expansion to its training facilities. 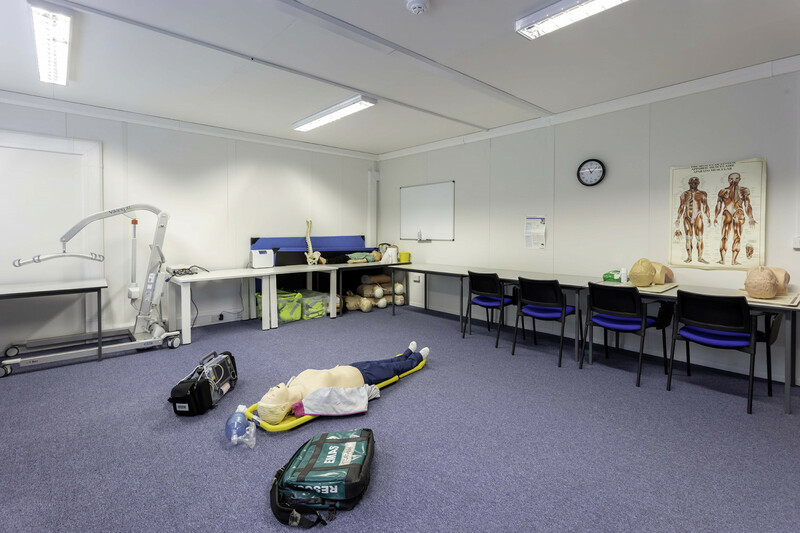 By using offsite building methods, York-based Portakabin constructed and fit out new training facilities on ambulance station sites in Northampton and Lincoln in just two weeks. Each single-storey building includes two training rooms, a canteen and an office plus welfare facilities. The building provides teaching space for more than 20 trainees at any time. Mark Fox, Regional Hire Manager at Portakabin said: “We were able to install each building in just one day which minimised disruption to the site dramatically. This meant that the paramedic teams could continue providing their life-saving care without being interrupted and training for new recruits could commence as quickly as possible. The Northampton and Lincoln facilities are due to be in place for two years with plans to create more facilities during that time.